Few bands have risen to prominence with quite the same alacrity that propelled Gomez towards the top of the charts during the late 1990s. The band’s debut album, Bring It On, was a potent statement; a heady gumbo of delta blues and fetid psychedelia that was as unexpected as it was triumphant. Whippin’ Piccadilly and Get Myself Arrested became indie classics while album cuts Make No Sound, 78 Stone Wobble and Tijuana Lady cemented Gomez’s talent for blending a diverse array of influences yet maintaining coherence. The album went platinum; so did its follow-up Liquid Skin. Such was its success, Bring It On bagged the band an unexpected Mercury Prize in 1998, besting the likes of Pulp, Massive Attack and The Verve. Gomez even played the legendary Glastonbury Festival that year – twice in fact. But for all the plaudits, Gomez were never destined to be a commercial juggernaut. The band retreated into ever darker, minimalist territory and slipped away from the limelight. 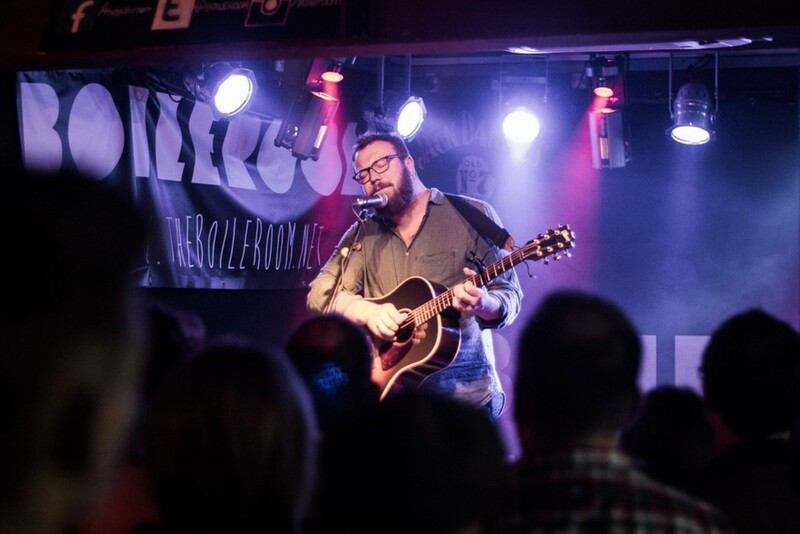 Thankfully, the legacy of the band’s early days lives on through guitarist and vocalist Ben Ottewell, whose rasping baritone came to characterise the band’s sound. 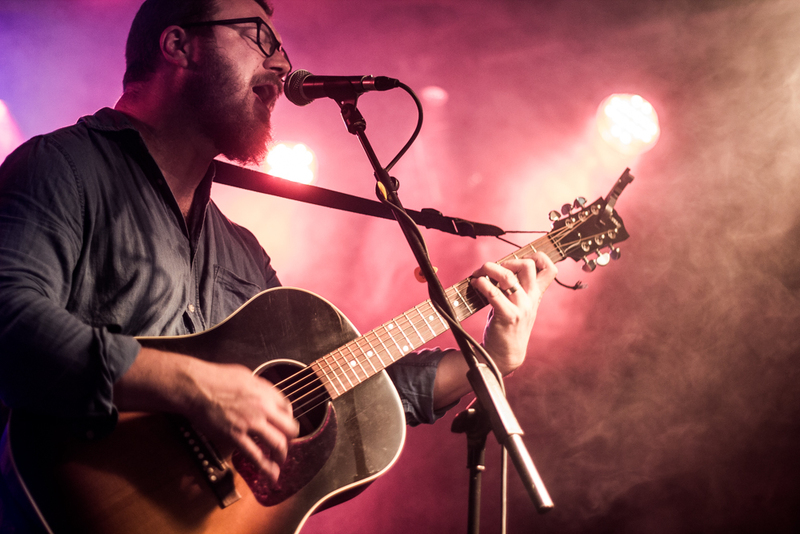 Bearded and bespectacled, Ottewell tears straight into Rattlebag – the title track from his latest 2014 album, from which he draws heavily throughout his hour-long set at The Boileroom on Tuesday (April 7). “This is my first gig in Guildford,” muses Ottewell after a brooding airing of Patience And Rosaries, also from Rattlebag. “And not the last – hopefully,” he teases. 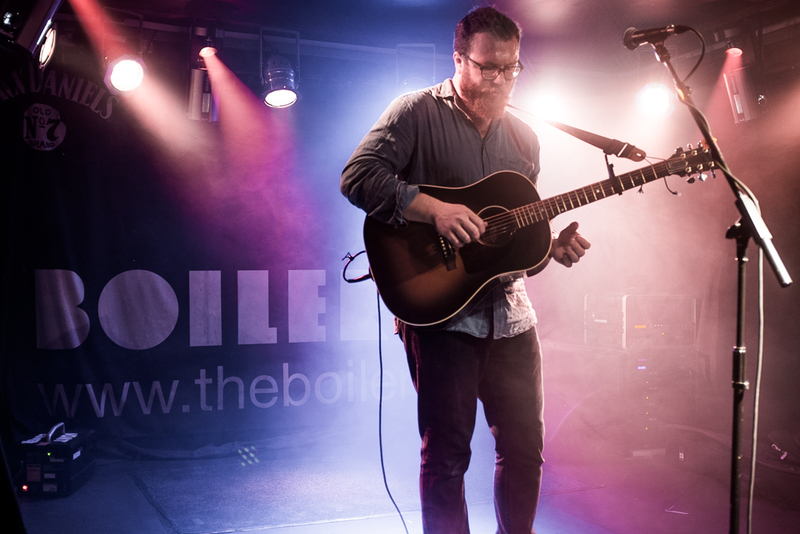 From the outset, the atmosphere inside The Boileroom crackles with anticipation and reverie; every song is breathtakingly observed without so much as a cough or murmur to break Ottewell’s spellbinding hold over his audience. 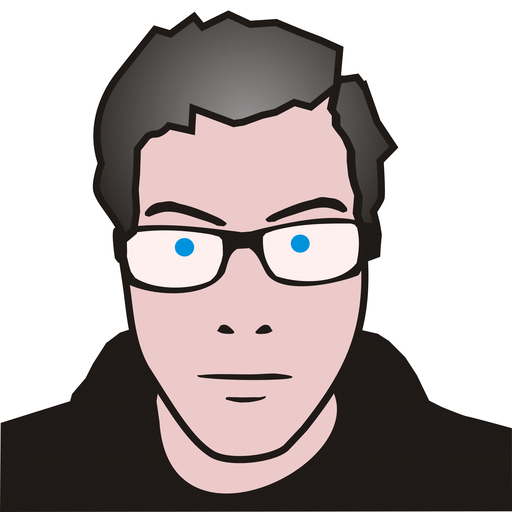 Even a quick retune after Free To Run (“the first song I ever wrote”) is met with hush. “This is what happens if you leave your guitar hanging around in a house full of children,” he jests before So Slow, a “cack-handed effort”, says Ottewell, at a traditional blues song. Gomez favourite Love Is Better Than A Warm Trombone sparks the first truly rowdy response from the audience, stripped back to just Ottewell’s acoustic guitar and harrowing vocal. Shapes and Shadows, the title track from Ottewell’s first solo album, and Gomez number Hamoa Beach are equally well-received, but it is the run-in starting with Get Miles, the opening track from Bring It On, and Red Dress from Rattlebag that sees Ottewell exercise his chops. Get Miles is a real sprawling treat, given a uptempo, bluesy makeover as Ottewell bellows out verse after acerbic verse before the song’s poignant refrain of “get miles away” reverberates serenely around The Boileroom in his distinctive burr. And after a touching rendition of bittersweet love note Red Dress, time is almost up. “Turn the reverb up please,” he asks of the sound desk before gently strumming the first melodic strains of Tijuana Lady. It’s a mesmerising finale, and a timely reminder the captivating qualities Ottewell and his cohorts harnessed long ago are still very much alive today.